These are the easiest chocolate truffles that you can find to make, and that is saying something. Good truffles take some patience and time and a little artistry once in a while and while these do take some time, there is no complex making of ganache! These chocolate truffles are made from cream cheese and chocolate, that’s it! Truffles mean that God is a woman. I’m just going to put that out there and leave it at that. This isn’t the traditional method of making tuffles, this is a total cheater recipe that my Mom has been using for as long as I can remember. 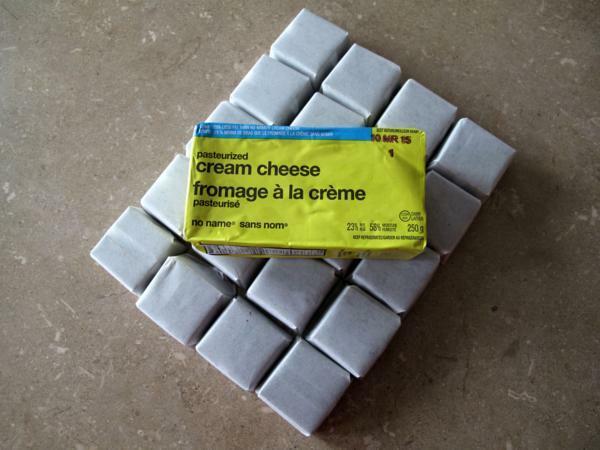 All you have to do is mix cream cheese and melted chocolate together, then follow my instructions. These are also one of the most delicious truffles you are ever going to make! Step One : Start by whipping your cream cheese. I used light, as you can see above, and it tasted fine. I am not sure why I bothered to use light cream cheese when I proceeded to slather it in chocolate, but you know, habit. Step Two : Take 8 of the chocolate squares and melt them in the microwave. 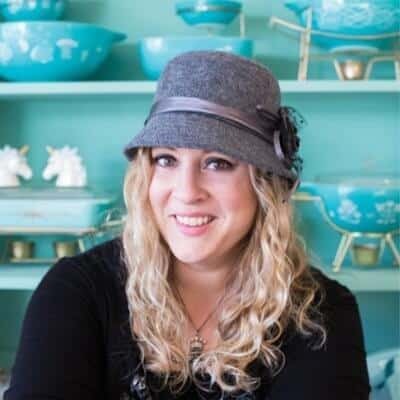 If you want to use flavoring, you can now add 1 or two teaspoons of mint,almond or rum, or if you are so inclined 1/4 cup of your favorite liqueur, I think Kahlua would be amazing! Next year. Step Three: Pour the melted chocolate into your mouth the cream cheese mixture in the bowl, and proceed to whip them together thoroughly. Step Four: Now its time to refrigerate it for about an hour, until it’s firm enough to handle. Step Five: Once the mixture has firmed up in the refrigerator, take about 2 teaspoons and roll it into a ball, placing on trays covered with wax paper. Once those are rolled, it is time to dip! 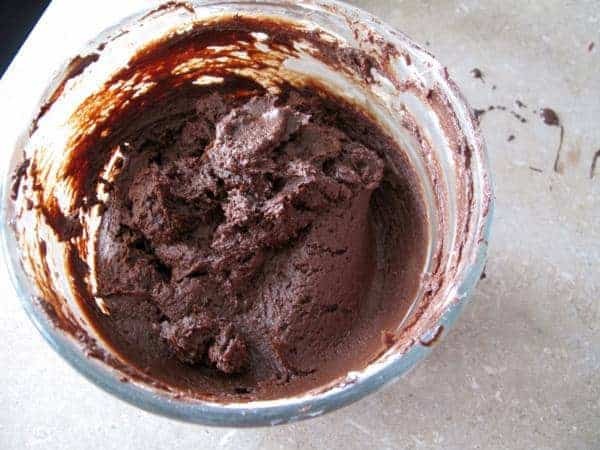 Melt the remaining chocolate squares (in the same container if you hate to do dishes like I do) and then dip each into the chocolate, using a fork. Once the chocolate has dripped off to an acceptable coating, place back on the cookie sheets. Then you can garnish with whatever your heart desires; I have done little stars sprinkled on, you can do nuts or coconut or whatever you can think of. This year I used a tip and an icing bag and did white chocolate on top, a very delicious contrast. 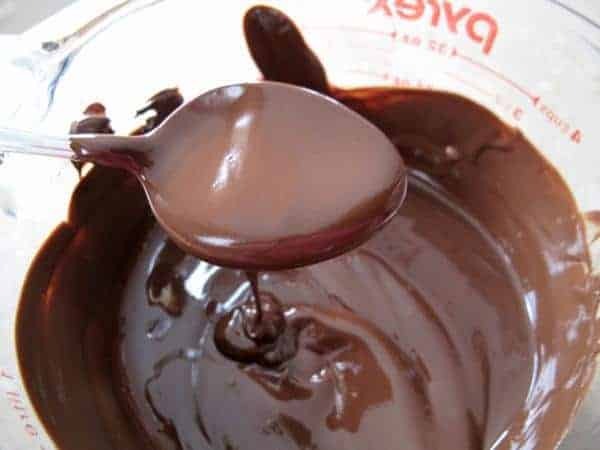 If you are looking for traditional French Chocolate Truffles, you need to use my Ganache Recipe and use the thick ganache that you make into truffles. 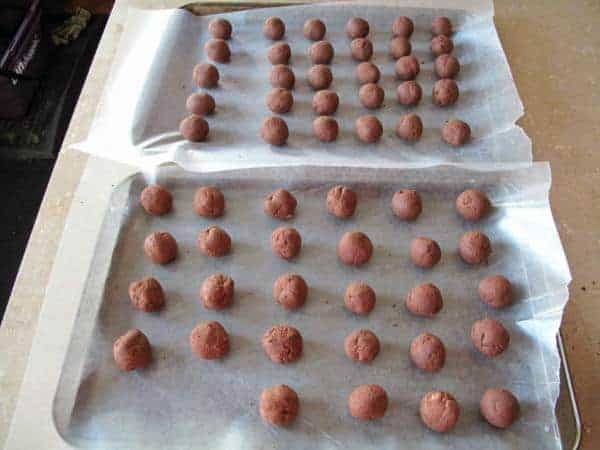 This is a quick cheater recipe for chocolate truffles! 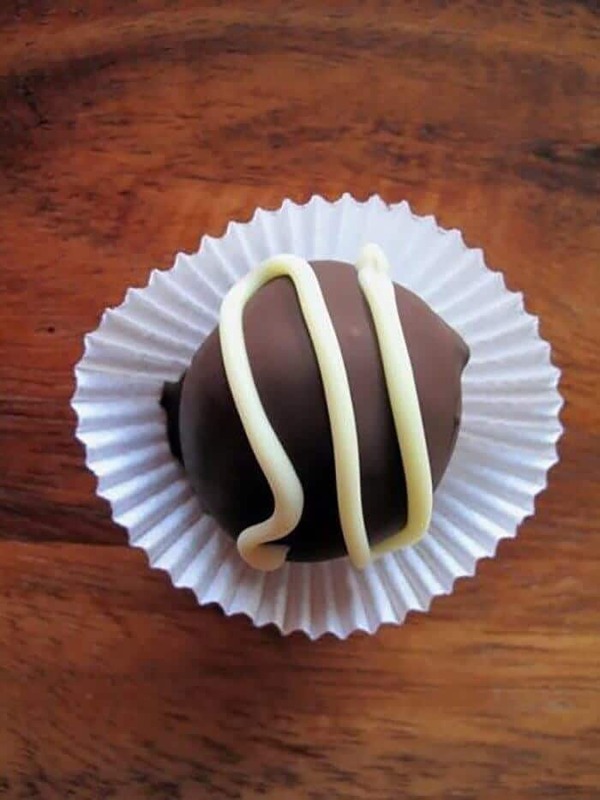 Simple two ingredient chocolate truffles that my family has been making for decades! 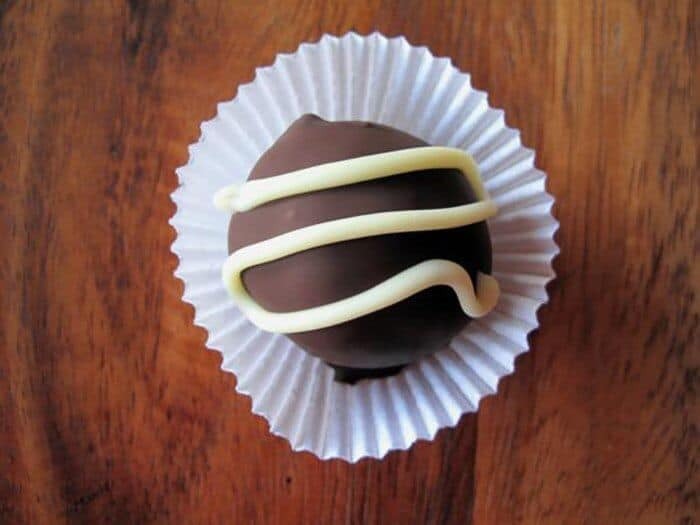 You won't believe how easy these cream cheese & chocolate truffles are! 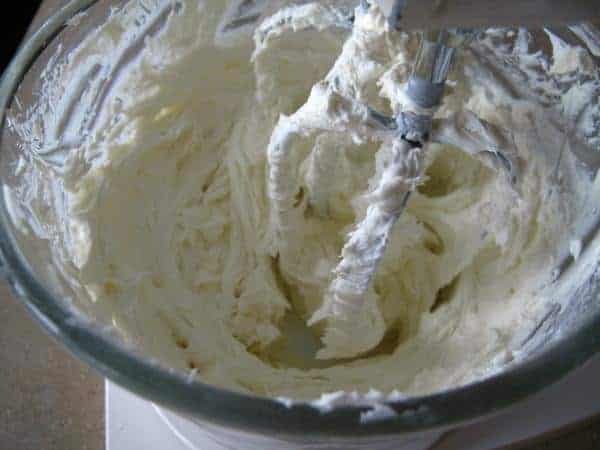 Start by whipping your cream cheese with a hand mixer or a stand mixer. 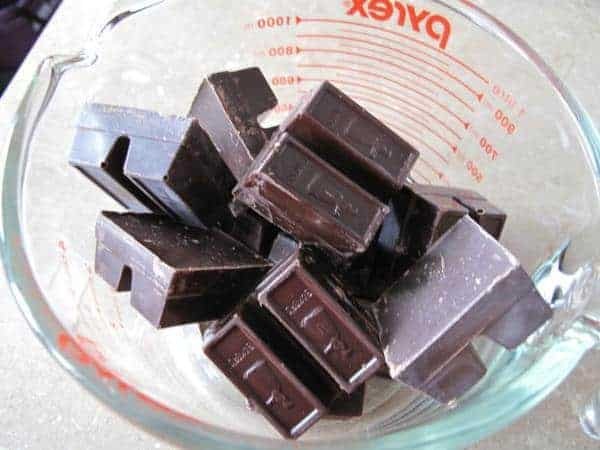 Take 8 of the chocolate squares and melt them in a microwave safe measuring glass in the microwave. 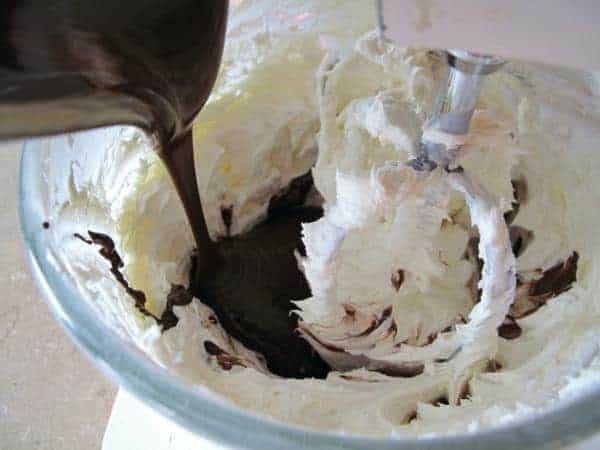 Pour the melted chocolate into the cream cheese mixture in the bowl, and proceed to whip them together thoroughly. Cover the bowl with plastic wrap and refrigerate it for about an hour, until it’s firm enough to handle. Once the mixture has firmed up in the refrigerator, take about 2 teaspoons and roll it into a ball, placing on trays covered with wax paper. Once those are rolled, it is time to dip! 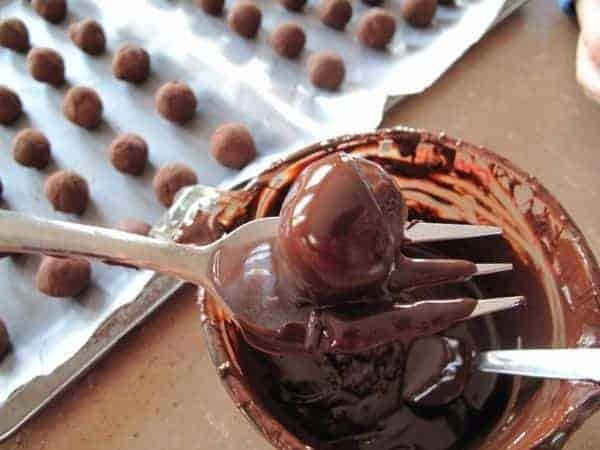 Melt the remaining chocolate squares and then dip each into the chocolate, using a fork. Once the chocolate has dripped off to an acceptable coating, place back on the cookie sheets. Let the outside of the truffles harden. Store in a closed container with layers of parchment or waxed paper between the layers of truffles to keep them from sticking together. Hi Mary! The photos show what to do but somehow the text got erased from my recipe card! It’s all fixed now! I just have to make these, so yummy. I thought as much. Or even if I added a bit of sweetener, it’s less grainy then regular sugar and you don’t need as much. Oh you’d have to use icing sugar and mix to taste. White sugar would be grainy!! Hi Karen! The photos show what to do but somehow the text got erased from my recipe card! It’s all fixed now! The Kitchen Magpie Oh I’ve been baking old school for a while I think I’ve got a good arm :p Alsoo, they only had unsweetened chocolate at the store, how much sugar could I add to sweeten? Or could I use icing sugar? You can definitely give it a shot! You just have to make sure they are creamy and mixed up completely! Oh yes it’s my favorite! Amie Gregory we should add these to our list…looks easy! Frozen stuff is the best, I love butter tarts and chocolate chip cookies the best, although most is good! And to think, I’ve been doing it the hard way this whole time! These look wonderfully easy, and not to mention absolutely delectable! Thanks for sharing. looks bloody delicious! 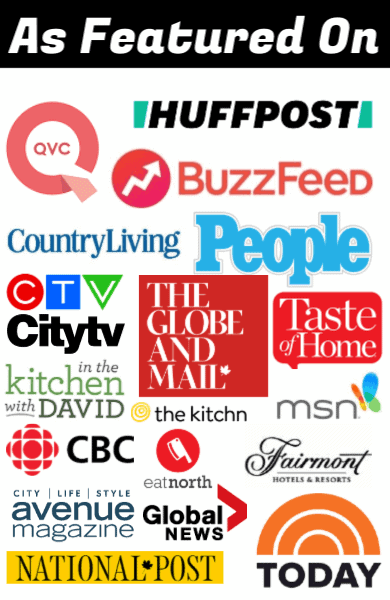 When are you bringing some to work?